Alexander Bell Filson Young, the son of a Church of Ireland clergyman, was a leading British journalist in the years before World War I, who traveled in the same circles as Winston Churchill and Fred Jane (founder of Jane’s Fighting Ships). His political connections led him to meet Admiral Jacky Fisher and then Admiral David Beatty. It was these connections that were to land him a commission as a Lieutenant with the “Royal Naval Volunteer Reserve” and a spot on David Beatty’s staff from November 1914 to April 1915, while Beatty was commanding the Battle Cruiser force. Young makes it sound like Beatty wanted him with the battlecruisers – in fact Lady Beatty encouraged him to worm his way onto the staff – but the James Goldrick writes in the introduction just the opposite was true. 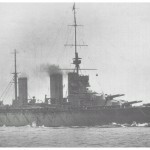 Regardless, Young got himself appointed to Beatty’s staff and landed on HMS Lion, Beatty’s flagship, in November 1914. He ended up with an assignment in the radio room, analyzing radio reports. The first few chapters deal with Young’s impressions of the Royal Navy, especially in the way the commands at sea dealt with the Admirality, and how he came to be posted on Lion, which was based with the 1st and 2nd battlecruiser Squadrons at Rosyth. 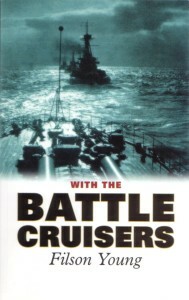 Young’s book details many facets of life “with the battlecruisers”. One chapter tells how the 1st and 2nd Battlecruiser Squadrons, along with the Harwich force, narrowly missed catching the German Battlecruisers that participated in the bombardment of the town of Hartlepool on December 16, 1914. Another tells of Christmas onboard the HMS Lion, and how Beatty and his staff went to each and every mess – officers and crew alike – to see the decorations and encourage the crew. One of the most interesting parts of the book is a section in one chapter, entitled “Closing the Land”. It describes what it was like on the great ship as she returned to port in the dark of night. How the ship felt, what sounds he heard, what is was like to be standing on the bridge in the dark of night, with the rush of the wind and the stars in the sky. This part of the book was so well written that I almost found myself on the bridge of the Lion with Young, tugging at my cap and pulling my jacket close to ward off the chill of a winters night on the North Sea. 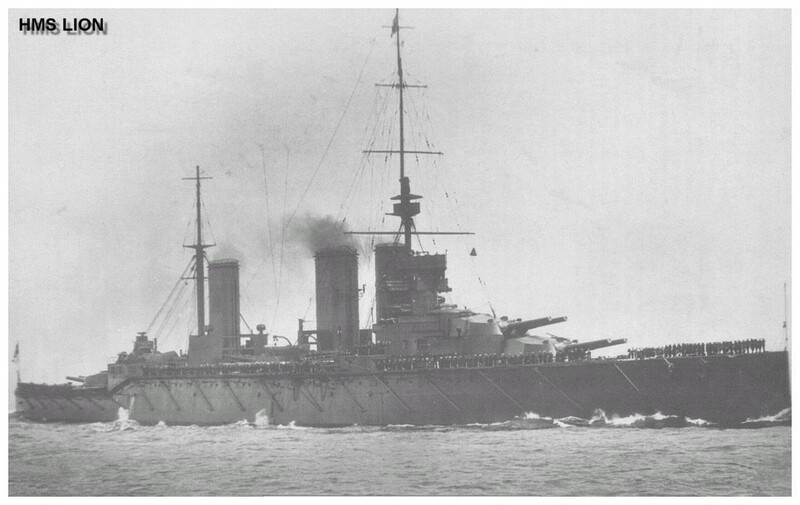 In January 1915, the British intercepted and decoded a German signal that their battlecruisers were coming out of their lair to raid the English coast again. This time, the British meant to stop them. 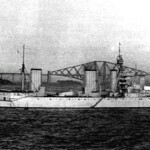 From Rosyth sailed the 1st and 2nd Battlecruiser Squadrons under Beatty. Also joining in the search was the “Harwich force”. Early in the morning of January 24, 1915 British and German light forces stumbled into each other by the North Sea shoal known as “Dogger Bank”. 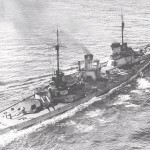 The German force – consisting of the battlecruisers Seydlitz, Moltke, Derfflinger, the armored cruiser Blücher and accompanying light forces – was under the overall command of Vice-Admiral Hipper. Once Hipper realized that British heavy units were on scene, he turned and hightailed it back towards the Jade Estuary. Unfortunately for Hipper, those heavy units were not the slower battleships, but the faster battlecruisers, and a chase quickly developed. Young – with no battle station – made his way up to the Lion’s forward tripod mast into her spotting top and had a ringside seat for the action. 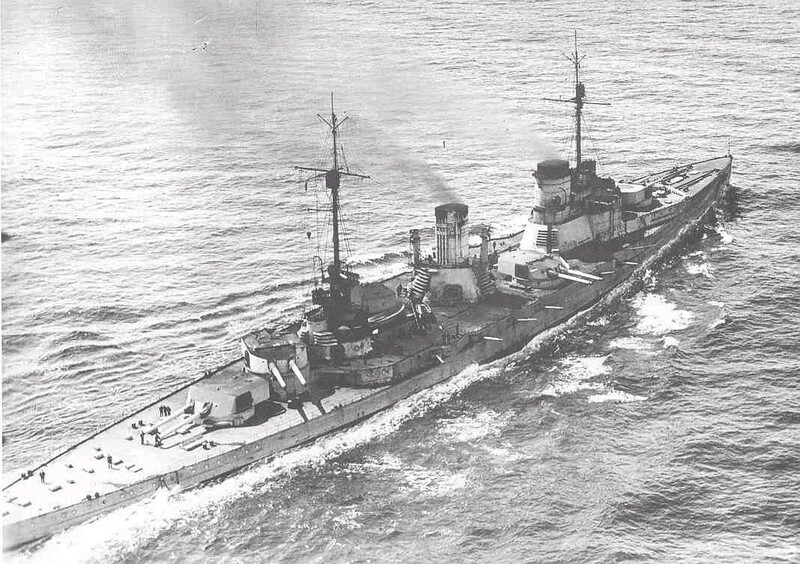 Beatty’s faster battlecruisers – Lion, Princess Royal and the brand new Tiger – were able to close with the German squadron and engage in a long range gunnery duel. Blücher was hit repeatedly and began to slow. Beatty ordered that his ships engage the corresponding German ship, but due to a mistake on the Tiger , the Moltke was left unmolested (a similar mistake would haunt the British at Jutland) to concentrated her fire on Lion. Seydlitz and Derfflinger also concentrated on Lion, and soon the “Splendid Cat” lost power and fell out of line. An attempt to signal his remaining forces to close with the German battlecruisers was misread so that Admiral Moore – commanding the 2nd BC squadron in New Zealand and now officer in charge with Lion and Beatty out of the action – turned the entire British force to pound the battered and doomed Blücher into submission. Due to this error, the rest of the German force – including the damaged Seydlitz – was able to escape. With Lion out of the fight, Beatty switched his flag to a destroyer and then transferred to Princess Royal. Meanwhile, Indomitable took Lion under tow and brought her back to port…which the editor points out was quite a feat of seamanship. Young tells this whole tale from his own vantage point as well as using dispatches from Beatty during the course of battle. He descended from the foremast with bloody ears – from the concussion of the Lion’s main guns – covered in cordite smoke, but none the worse for the wear. He also details how the British – while scoring a victory – let a spectacular victory slip away. Moore – who mistaken concentrated on Blücher and let the rest of the German’s escape – was transferred out of the battlecruiser squadron. Captain Pelly of the Tiger was criticized for confusing Lions shell splashes for those of Tiger and therefore not scoring many hits. Finally, Young shows how the Admiralty took Beatty’s original report and changed it to alter the public perception of the battle. The last part of the book is probably the weakest. In it, Young talks about the Navy and it’s short comings in the war and ways to improve it. Written in the early 1920’s, those thoughts were pertinent then, but I was hard pressed to keep my interest in this section. Overall, the book was a very interesting read and a uncensored look into the war at sea in the early stages at World War one. I highly recommend it to anyone interested in the war at sea during the First World War, especially from the British side.